President BS Aquino. Photo by KJ Rosales/Manila Bulletin. Quite interestingly, diehard supporters of President BS Aquino ushered in the commemoration of the 29th anniversary of 1986 People Power uprising by rehashing the discredited “Marcos pa rin!” battlecry into an Internet trending topic #NoynoyPaRin. For a whole day, they convinced themselves that there’s no one else fit to lead the country at this time, except their idol. We don’t know what they smoked before and as they did it. But if they were aiming to change the topic of public conversations away from President BS Aquino’s command responsibility over the Mamasapano incident, let us tell them: Nice try. The BS Aquino administration is naturally very afraid that the Mamasapano incident has generated national outrage. More and more people, personalities, sectors are calling for the president’s resignation. The disenchantment obviously reaches the ranks of military and police. The administration and its supporters should blame their idol for their recent nightmares featuring People Power and coups: President BS Aquino has claimed for himself a unique spot among all post-EDSA leaders. Presidents Corazon Aquino, Fidel Ramos, Joseph Estrada and Gloria Macapagal Arroyo never once sent on a suicide mission Filipino soldiers and policemen in the same way President BS Aquino did in the USA-directed Mamasapano incident. All the previous presidents cultivated good relations with the military and police, both as a matter of duty and of patronage and survival. Not a few soldiers and police are shocked and dismayed that President BS Aquino would readily sacrifice them at the behest of the US military. Not a few soldiers and police, led by families of the fallen SAF commandos, are revolted by the finger-pointing and attempts to cover up the truth. Not a few soldiers and policemen, especially the more patriotic ones, are insulted by US military intervention that is so brazen but many intelligent leaders refuse to see. For a growing number, the realization is: Does a US puppet/incompetent president/cowardly commander-in-chief really deserve the bravery of the nation’s armed forces and national police? And as the Senate investigation continues, the nation witnesses many barefaced attempts to shield President BS Aquino from command responsibility and all accountability, while at the same time turn a blind eye on the leading role of the US in Mamasapano. It is an insult to the public that senators and congressmen refuse to see these two, big elephants in the room. In the case of the House, the speaker has suspended the hearings in his strongest, full-throated show of loyalty to and defense of the president and of US military intervention, however disastrous to the police. When President BS Aquino goes to the rostrum on February 25, he will already be seen as a fallen idol, unworthy torch-bearer of the positive legacies of his parents, a symbol of discord, and an icon of incompetence and puppetry to the US. The official anniversary theme screams “tuloy ang pagbabago” but with a symbol too puny and diametrically-opposed to the substance of change. The people ask: Change? But for whom? The people tell the rabid yellow crowd: Not again. 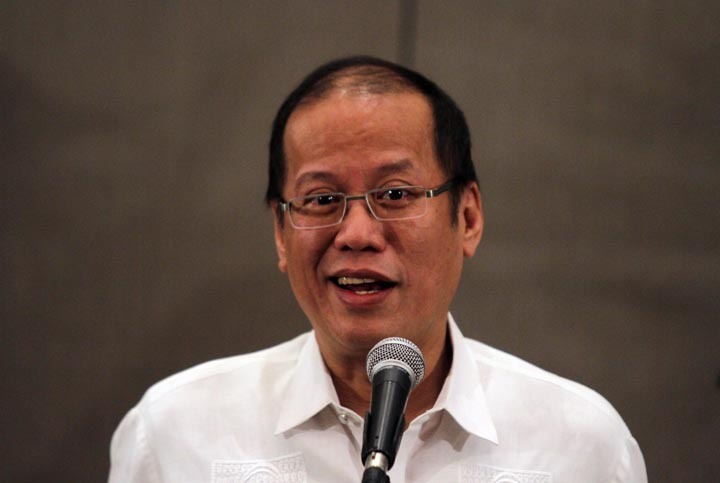 The nation should wrest the “tuloy ang pagbabago” slogan away from President BS Aquino. If there’s a lesson that he has not learned from EDSA 1986, it is about the accountability of authorities, especially the president, to the people. He refuses to heed this historical lesson and to obey this constitutional duty to be responsible for his actions and accountable to the people. President BS Aquino’s defenders and supporters of those waiting for a chance to succeed him in 2016 are disinterested in regime change now for obvious reasons. Such a change would not only end this disastrous regime but also dramatically alter their selfish plans. Regime change now would send shockwaves through the political establishment, along with the message that the nation has had enough of all the drama and pretensions of traditional politicians. It is becoming obvious to the widows of SAF commandos, to soldiers and policemen, and to the public that these rotten traditional politicians led by the president are interested more in position, and less in truth and accountability. Some intellectuals and pundits question and poke fun at the Left for consistently calling for the dismissal of all presidents since Marcos. The claim is that the progressives are not happy with any or all of them. They are correct but rather inaccurate. These celebrated observers and analysts, many blinded by payola and positions, fail to see beyond the Left’s slogans: The Left is unapologetic in telling the nation that the problem is not just the president, at any given moment. It is always ready to unite the nation to confront any president found to be criminal, corrupt, incompetent and treasonous. It is irrepressible in exposing the very system that allows these presidencies and that these presidencies defend. It is committed to lead the people in a long march to building a new political, economic, and social system. More than mere regime change, the Left believes there is no shortcut, however enticing, to ridding country’s main problems of bureaucrat capitalism, domestic feudalism and imperialism. As long as these three ills fester, the system will produce more presidents like BS Aquino who bring horror and humiliation to the nation. This 29th anniversary of EDSA 1986, let us dedicate ourselves again to real change. Reject “loose change” and empty slogans which are all the current president has been able to offer. We have more to gain in real change. First published in the Manila Bulletin, 21 Feb. 2015, and republished here with slight corrections and editing for clarity.